Category Archives for "Liquid Vaporizer"
Vape users want an efficient delivery of oil extracts. The extensive testing with Quant Wave has resulted in up to three times the vapor production in comparison to other vape oil devices. 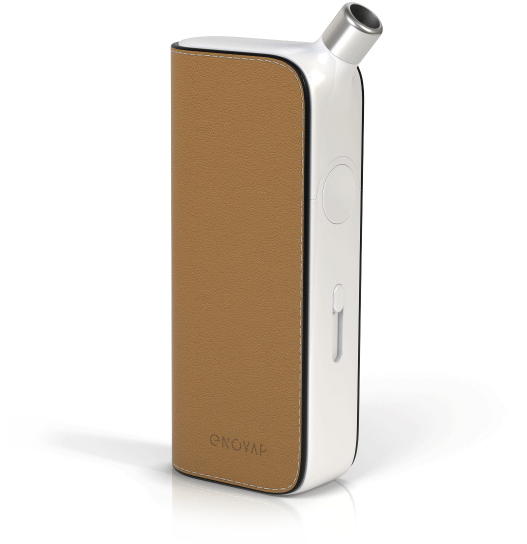 The Quant Wave uses a built in 410mAh battery that delivers ample power to the wickless ceramic atomizer. Users of the Quant Wave achieve longer session durations, with full body flavor. With pass through charging you’ll never have a time when you can’t use the Quant Wave. Pass through charging means the device can be plugged in to charge and be used at the same time. You get a full charge in about 25 minutes. The pods designed for the Quant Wave are made to work with multiple temperature options. This is because there is also a wide selection of oil formulas that can be vaped with the Wave pods. The Wave is plug and play and there is no temperature adjustment by the user required. 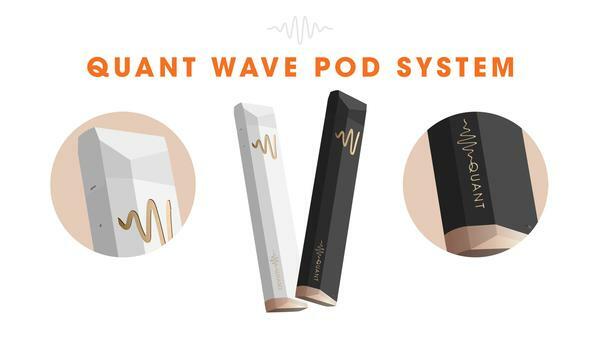 The Quant Vaporizer Wave pods use wickless ceramic atomizer technology that is proprietary. The pods are designed to work with thick distillate formulas. The design of this innovative oil pod system has results in large flavorful hits. The oil pods for the Quant Wave are disposable. The size of the pods are .5 grams and 1 gram. The pods are designed to showcase the oils and the brands that bring the vape and pods together. The pods and the oil vaporizer have been calibrated to function with many vicosities of oil. THC oils, CBD oils from different cannabis brands have boiling points that are compatible to work with the Quant Wave Pods. You can also create your own branded Quant Wave devices. This is a unique feature that allows you to make cool promo products for your employees, investors, and customers of your brand. We find this to be a very interesting option provided by Quant that if we get the demand for these new oil pod vaporizers that Vaporsmooth may offer a branded version of our own! You can visit the official Quant website here. A new portable vaporizer is in the works that will be released sometime in 2017. This new vaporizer is the first of its kind bringing new technology to the portable vaping industry. The Enovap vaporizer is a smart e-cig that uses a double tank e-liquid system and artificial intelligence to deliver precision hits of nicotine and any type of e-juice. In this article we will go over the features of the Enovap vape and when you can expect to be able to buy this new sophisticated device. The Enovap smart e-cig has a feature called "Hit Control". 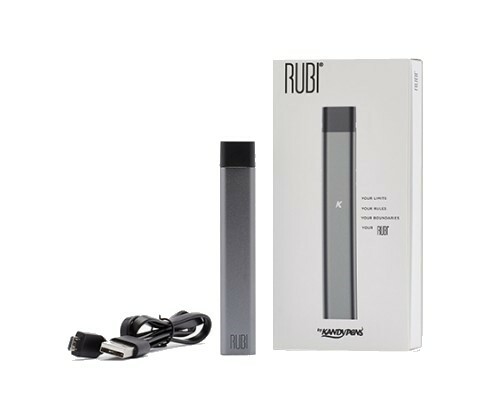 The Hit Control technology allows you to adjust the nicotine strength between each puff. This is able to be done through the use of the double tank system built into the Enovap vaporizer. You are able to change the nicotine levels anywhere from 0 to 18 mg per ml on the fly without the need to change e-liquid. The Enovap E-Cig is able to deliver mixed blends thanks to the dual e-liquid tank and smart technology built into the device. You are able to create your own flavor cocktails while choosing precise percentages of each type of eliquid on the fly. Adjusting the levels of two different blends or concentrations has never been so easy. If you think one puff is a little to strong one way or the other you can quickly adjust and try a new percentage weighting for your next puff until you get it right. The Enovap vape allows you to also vape both the e-liquid tanks individually and go from one to the other without mixing without having to change the atomizer. The technology built into the Enovap smart vape learns from your use patterns and anticipates your needs. The software built into the Enovap was made with the help of healthcare professionals (tobacco-cessation, respirologists, and addictologists). The Enovap is designed to help ease people off of nicotine with the help of algorithms to slowly and effectively reduce the nicotine levels as you vape. The Enovap vaporizer has a mobile application that allows you to get more out of your device. With the Enovap app you can follow your consumption in real time, take part in community challenges, submit and get advice with healthcare professionals, and much more. The Enovap vaporizer official website says that the device "is compatible with any type of e-liquid". Hopefully that means that you will be able to make some herbal blends with cannabis e-liquids. This would be a great way for CBD dominant liquids and THC dominant liquids to be mixed together. The ability to increase and decrease the percentages of each will allow users to find a great micro dose that works for them. On the same note - users could mix various strains together of either or both CBD and THC to find a good balance that they enjoy. The Enovap smart e-cigarette is to be released sometime in 2017. The quantities that will be available in 2017 is unknown, but you can head on over to the official Enovap website here and request to be shortlisted and notified when the device becomes available.